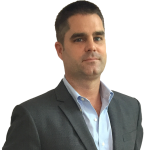 Max Talcott is an experienced operations manager, highly proficient in implementation of projects that require sensitive negotiations with Southeast Asian governments. Prior to joining BGA as managing director for Myanmar, he spent two years as the regional director of the Global Community Service Foundation (GCSF), a non-profit organization that focuses on development projects throughout Southeast Asia. As regional director of GCSF, Max implemented development programs in Vietnam and Myanmar, which included designing and building of schools and hospitals and the implementation of social enterprise programs on the local and national level. Max was integral in managing relations between the organization and both local and international government officials. Max holds a Bachelor of Science degree from Cornell University.